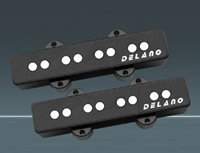 I am the sole Australian distributor for Delano Pickups and ETS Hardware. I am proud to to be the Australian distributor for this superb Bass pick up range. 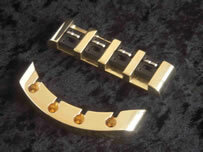 Please visit the Delano website to view the full range of these outstanding pickups. I typically stock a comprehensive range of the P and J bass pickups. Also please check out the range of Delano EQ's and pre-amps. These are amongst the finest available. Delano pick-ups are offered as standard equipment on all my basses; from the standard 4-string to the massive extended range Basses (ERB's) 12 String (octave) and 8 String (octave) are also catered for. Note: OEM manufacturers and dealer inquiries welcome. The quality of ETS hardware is unparalleled. I carry a limited range of stock as they are generally made to order. Check out the range of finishes, styles and models at the ETS-Hardware website. Should you have a custom bridge in mind, a simple drawing is all that is needed (along with some basic specs) to get your full custom bridge manufactured. Get in touch with me and we can discuss your requirements. If you are looking for studio quality electronics-be it outboard or inboard, consider the Richter range of equipment. Need it custom made to suit your needs? Looking for a different centre frequency or gain values? Speak to me about the possibilities.